SapaSky , ( 84 ) 0982 48 68 68 checkin: 12; checkout: 10. A nice and relaxing hotel with boutique interiors. 12. Ly Tam May Quang's Homestay, Doi 1 - Ta Phin village, ☎ 01666924727, . Altough not located in Sapa but rather 15 km from the town itself, in Ta Phin village. A nice and friendly little homestay run by english, french and vietnamese speaking owners. They can cook any food you like and propose REAL herbal baths at a decent price. US$5. Fansipan View Hotel, Xuan Vien St, ☎ (+84-203) 873 579, . A nice and relaxing hotel with boutique interiors. Hoang Ha Sapa Hotel, Thac Bac St, ☎ + 84 203 872 535, . 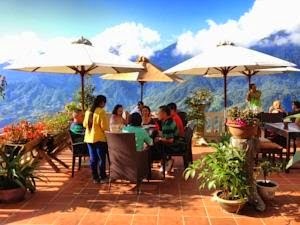 Conveniently located in the center of Sapa Town in Lao Cai, Vietnam, overlooking the beautiful Muong Hoa Valley. All rooms are equipped with Large balcony with landscape view, Fireplace, Cable TV and Free Wi-Fi Internet access. Some of its facilities and services are Meeting room, Restaurant, Room service and Free high-speed Internet access. edit They offer a bus to the hotel but you have to pay and if you arrive on the early train you sit in the station car park until later trains arrive. The scare stories about overcharging by minibus drivers seemed wrong- it is 50,000 dong everywhere. They also don't want to check you in until 1-2pm. Western breakfast poor. Green Bamboo Sapa - a hotel with an old wing located near the entrance of the town. It serves a cheap and good breakfast at US$2.50. A night's stay at the main hotel will cost US$25. A room in the old wing will cost about US$10. Rooms in the main and old wing of the hotel, as long as not on the ground floors, will offer a breathtaking view of the Fan Xi Pan mountains. Khach San Hoang Ha, 10 Thac Bac, . checkout: 10:00am. stands like a haunted Chinese elementary school overlooking Baguette & Chocolate. free internet in the lobby. beds are a bit hard. US$15. Little Sapa - basically a restaurant located near the market, it also serves as a hotel for long-stay travellers, costing US$60/month. Big rooms with balconies, TV, hot water. Lotus Hotel - located only a few meters from the Royal Hotel. Nice rooms, tea, tv, hot water, restaurant and for some rooms, a fireplace and a nice view. US$4-7. Week-ends are naturally more expensive. The staff is a little bit cold. Hotel closes at 11pm. Red Dragon Pub, Muong Hoa street (Close to the Holiday Hotel). Now Unfortunately Closed. The Royal Hotel - located at the bottom of the main street. The rooms provide a nice view over the valley and many open onto a small balcony. It has an attached café offering standard traveller fare (banana or chocolate pancakes, as always in Vietnam, feature) and can help you out with travel arrangements. Rooms with a view over the valley start at $15US (double) while rooms looking back over the town are $12US. Sapa Global Hotel, No. 18 Pham Xuan Huan St., Sapa Town (across from church, near Central Park), ☎ 020 350 2242, . checkin: any time; checkout: 12pm.Located smack in the center of Sapa, this cozy hotel full of rustic, old world charm has 20 newly renovated rooms all with heating, hot water, satellite TV and wifi. Free internet access is available in the lobby. Breakfast included. Trekking and other tours can be arranged at reception. $15-40USD. Thai Binh Sapa Hotel, Ham Rong Street, Sapa Town, Lao Cai Province, Vietnam (From market, walk straight up from the left of the church. Turn left at the end of the street. ), ☎ +84 (020) 3871212, . checkout: 1200. 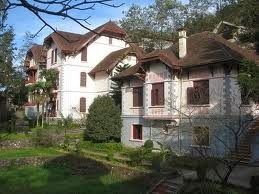 Located at quiet part of Sapa and within 5mins walk from market and restaurant street. Free internet in lobby and Wi-Fi in rooms. Electric heater, electric mattress available in the room. The hotel boss (a local teacher / education officer), and a lady receptionist is very friendly and speak good english. They are able to provide local tour, buy train tickets (Lao Cai train station), and transport to and from Lao Cai train station. US$22 - US$25. Topas Eco Lodge, (30 min drive south of Sapa), ☎ 0203871331, . Perched on beautiful grounds on a hill with stunning views of the surrounding valley. Spacious, detached bungalows, each with their own balcony, making a comfortable double, or can probably even accommodate a small family. The eco part of the title comes partly through the lodge hiring local staff and using solar power and hot water in all of their bungalows. See http://www.topasecolodge.com/. You can catch a free shuttlebus from the Topas Travel office in Sapa (21 Muong Hoa Str. 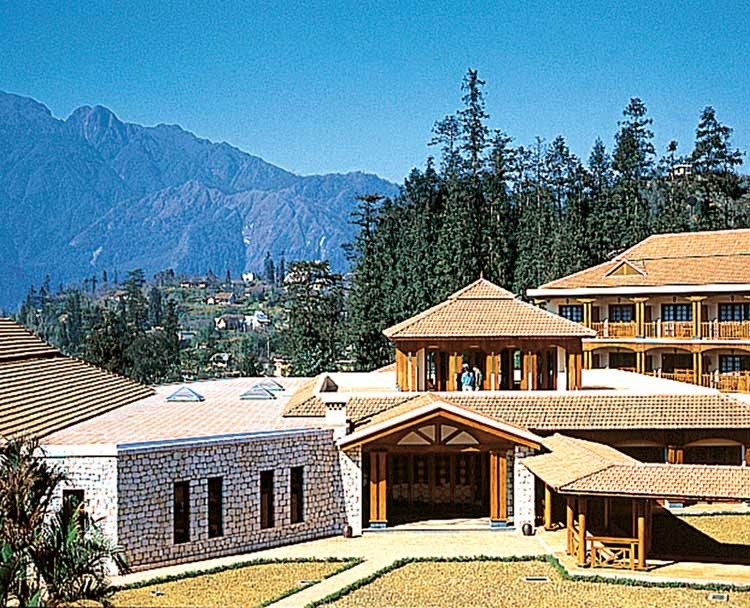 Sapa), where you can also get more information about the lodge. About US$99 per night for a detached bungalow. Homely Villa in Sapa (Villa for Best Experience in Sa Pa), . checkin: 2:00pm; checkout: 12:00pm. Located on a 6000sqm native plant garden, this villa has got an indoor fireplace to keep you warm and also Wi-Fi Internet. It also offers free transfer to and from their BnB to town which makes travelling convenient. More importantly, within walking distance to the villages of H'mong and Red Dao ethnic people, it is an excellent starting point to explore the charm of Sa Pa. USD$45. SaPa Backpackers, 06 Ham Rong St. Sa Pa (From market, walk straight up from the left of the church. Turn left at the end of the street, next door from Thai Binh),☎ +8401644225438, . checkin: 14:00; checkout: 12:00. Sapa Backpackers hasv a lovely athmosphere and problably the cheapest rooms you can find in town. You can also make a lot of local friends that may take you for some tasty food around town =D $3 - $6. Sapa Hostel, 01 Hoang Lien Street, Sapa (From the central square, walk uphill, turn left and then walk up the driveway of Cau May Hotel). Friendly hostel/hotel in a huge, mansion-like house. Staff is incredibly friendly and will help with tours, maps and questions. Rents out Motos $4//$5 for manual/automatic. dm from $5, privates from $10.